In my review, I told you Hunn changed the way her family ate because her son was diagnosed with celiac disease. She began experimenting with gluten-free cooking and came up with 125 mouthwatering recipes that are less expensive to make than buying packaged gluten-free food. I asked you to share why you’d like to win this book and this is what the winners shared. Sandy was recently diagnose with a gluten intolerance. I am struggling to find yummy meals to prepare for myself and my family. A lot of the gluten-free prepared meals are super expensive and out of my price range. I would love to win this book in order to learn a bit more about gluten-free meal options and ward of the negative symptoms that come with eating gluten riddled foods. Vicki has been living without bread. I recently discovered my intolerance to gluten. I also discovered how expensive gluten-free items are. Yikes! It has been difficult, to say the least. In finding ways to incorporate breads into my life again. Lately, I just live without it. 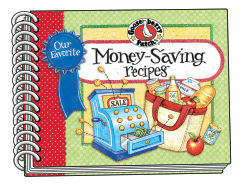 I would love a good cookbook that can teach me how to cook gluten-free, and save money as well. If you didn’t win, “Gluten-free on a Shoestring” you can buy it on Amazon for $11.05 or win one of 8 copies that will be given away as door prizes at the Festival in LA on June 25. 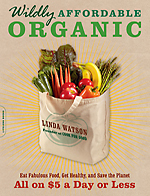 Don’t forget to check out today’s giveaway of “Wildly Affordable Organic” for another change to win!